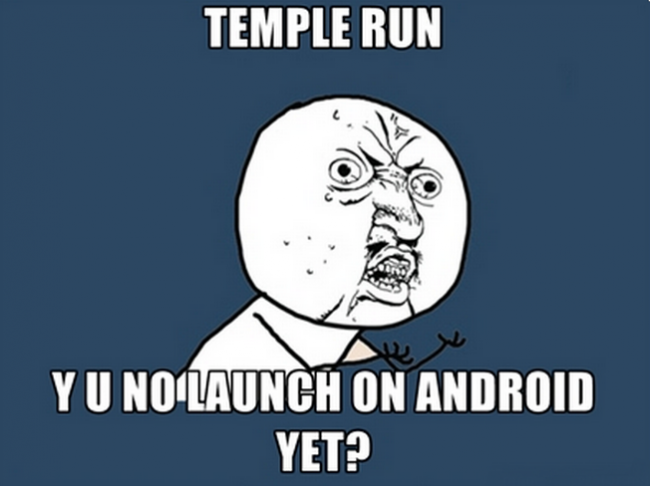 Another update from the Temple Run team on Facebook has some people raging a bit more this Monday. Unfortunately, back in January, Temple Run was said to be ready for launch this month, but over the weekend, hopes have been crushed. The Temple Run team states that they want to make sure the experience users receive is flawless, so we can understand why they’re taking their time. According to their statement on Facebook, they are actually in beta testing right now, so we shouldn’t have too much longer to wait. In the mean time, prepare your torches and pitchforks until we have an official release date.